Hello to all out in 365land. Hope all is well with you. Having a family holiday in South West Wales and enjoying the late summer sunshine in beautiful Tenby. You always pop back in with a bang, fantastic shot! Hi Rich! Glad to see you remember us :-) This is a great reflective view of your holiday place. hope things are good with you. Wow this is fabulous. I've never been to Tenby but it could be somewhere abroad, Norway perhaps! Fav! Wow -- an incredible view with such a perfect reflection. Just wow. And Fav. Excellent composition. I've lived few months in Llandudno in North Wales but never been to Tendy. 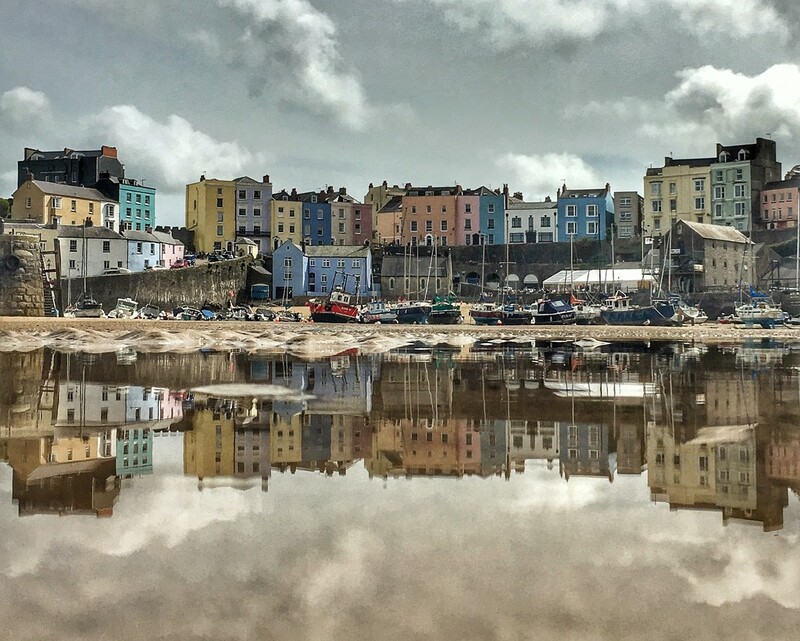 One of the best shots I've seen of Tenby! Love the reflections and the unsaturated look! Fab! And a fav. This is so beautiful it's a fav! Such an interesting shot! Love the reflection, but... well, you are the master at reflections! Loving seeing your photography again. You have mastered the camera phone! Nice shots. Super job on the reflection of the buildings - great shot.